Skills development and human resource management are the basis for the competitiveness of organizations, whether public or private. With regard to drinking water supply and sanitation or waste services, the technical nature of the jobs requires specific qualifications. All technical, managerial and administrative staffs must be well trained. Basic and continuing vocational training needs to be expended: this involves studying training needs and strengthening HRD, carrying out training plans, building vocational training capacities on water and waste and setting up mechanisms for financing vocational training. Vocational training and human resources management therefore allow improving the efficiency of water and sanitation services. For such a purpose, training organizations are major parties in water and sanitation capacity building. 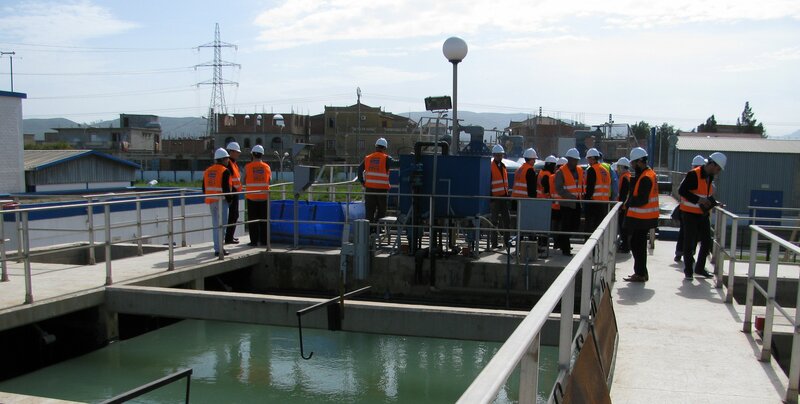 Since 1991, IOWater has been supporting water supply and sanitation utilities and water training organizations, relying on a multidisciplinary team specialized in the different water sectors: 120 permanent experts can accompany stakeholders, operators and project owners in the design and operation of their water-related processes and technologies. More specifically, in its vocational training and human resources management tasks, IOWater relies on its National Water Training Center (NWTC): 6,500 trainees trained per year and 600 training sessions per year. Development of a shared vision on vocational training for the water and sanitation sectors. Definition and creation of new educational units. Certification of qualifications, qualifying courses and courses leading to a certificate.